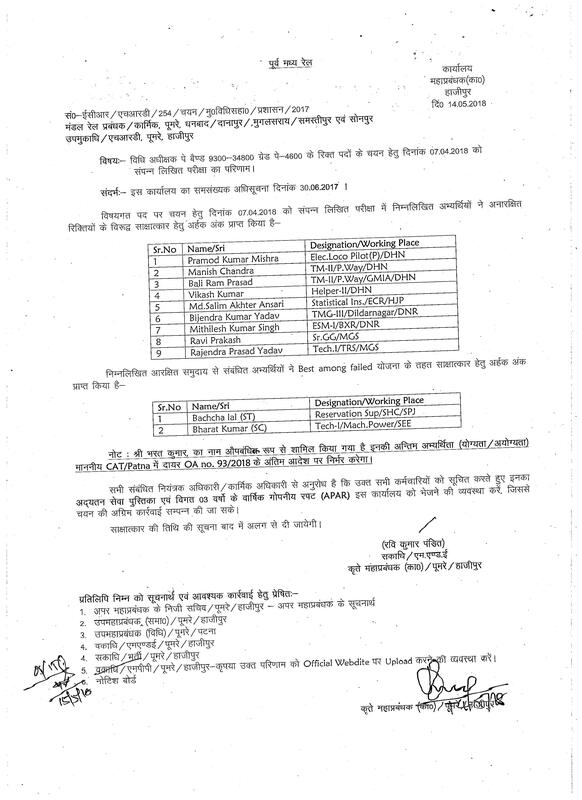 East Central Railways Announced the Result of written examination for the post of Law Suptd. East Central Railways issued the Result of written examination held on 7th April 2018 for the post of Law Suptd. in PB-2+GP-4600/- dt.